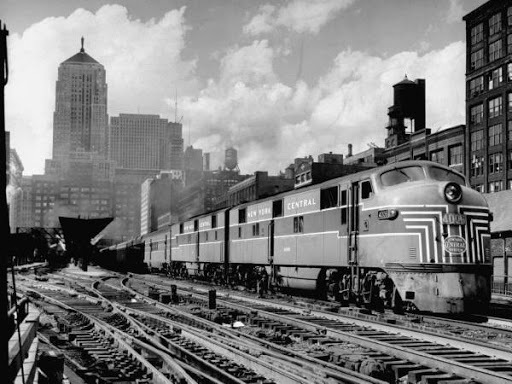 “Excellent photo of a New York Central passenger train with a streamlined locomotive leaving Chicago station, with city skyline in the background. – July 1948” ©Time Inc.
Google has teamed up with Life Magazine’s archives to make their collection of historical images available on the web. There are many great color and black and white images from the New York Central Railroad in this collection. Follow this link to see some great examples, including images of Robert Young, Pier 7 at Weehawken, Grand Central Terminal and more!